Who is Jonathan and why the name J1 Photography? Jonathan Wan (pronounced One) is a hobbyist photographer since high school and started taking photographs when digital cameras had floppy drives. His first camera was the Sony Mavica. 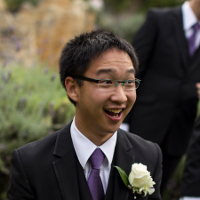 He has completed an Electrical Engineering and Computer Science double degree with honours at The University of Western Australia - with keen interest in image processing, computer vision, and strobist. Since then; photography still continues to be one of his main hobbies and aims to use and experiment with artificial lighting to create unique images and scenes. Lastly please keep in mind that there are multiple groups using the “j1 photography” branding. This web site is for the Perth photographer. It's really more of a one-man-show at the moment. Hobbyist photographer who is keen on creating artificial scenes using artificial lighting.